Australia has one of the highest standards of living in the world. Excellent job prospects, a strong economy and world-class financial services make it a desirable place to live and work. With higher standards come better rates of pay, but a higher cost of living. Here’s what you need to know about managing and spending your money in Australia. Australia’s national currency is Australian dollars (AUD). Currency exchange is generally available at banks, major hotels, currency exchange shop fronts and international airports. If you have a job in Australia your employer will pay you in AUD via a bank transfer or less commonly with cash. It’s important you set up an Australian bank account in order to adequately receive, spend and manage your money. Most shops have EFTPOS so you can pay for purchases with your bank-issued credit or debit card. Debit cards almost never incur a fee from the vendor, but some will charge you for using a credit card. VISA or MasterCard can be used everywhere credit cards are accepted. Cards such as American Express, Bankcard, Diners Club, UnionPay and JCB will also be accepted in many places, but are more likely to attract fees. Australia’s largest banks are NAB (National Australia Bank), ANZ (Australia New Zealand Bank), Commonwealth Bank of Australia and Westpac Banking Corporation. However, there are many smaller banks (for example ING Direct, AMP Banking and HSBC Australia). Most bank shop fronts are open 9.30am-4pm Monday to Thursday and until 5pm on Friday. Some branches open on Saturdays until 1pm. Some will be open later and even trade on Sundays but this is in relatively few locations and once again less likely in rural areas. 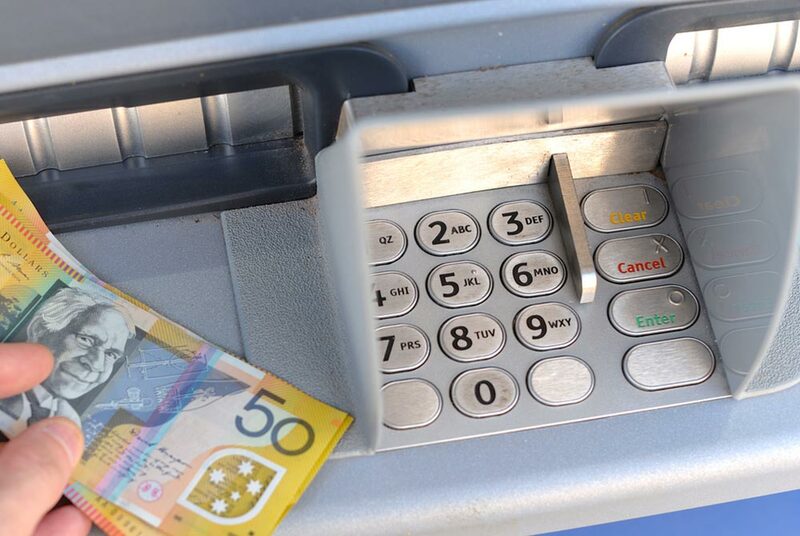 Cash can be accessed from banks and Automated Teller Machines (ATMs) which are widespread, although facilities may be limited in remote towns and the outback. ATMs can be operated by banks or privates operators. They may charge fees for transactions, particularly if you are withdrawing from an international account. Some shops will allow you to withdraw money, although it may have to be as part of a purchase transaction. Traveller’s cheques are not commonly used in Australia, and most places will not accept them. If you do purchase traveller’s cheques, it is best to buy them in Australian dollars. People residing in Australia enjoy a high standard of living and the cost of living reflects this. The cost of living does vary throughout the country, mostly affected by the price of accommodation. The states’ capital cities will all command higher rental prices than more rural locations, and of the capitals, Sydney is the most expensive. It is not uncommon for a person in Sydney to pay more than double the rent of someone living in Hobart for equivalent accommodation. The Department of Home Affairs has financial requirements you must meet in order to receive a student visa for Australia. From 1 February 2018, the Department of Home Affairs expects a student to be able to cover a yearly living cost of $20,290 for an individual, plus $7,100 for a partner or spouse, and an additional $3,040 for a child. 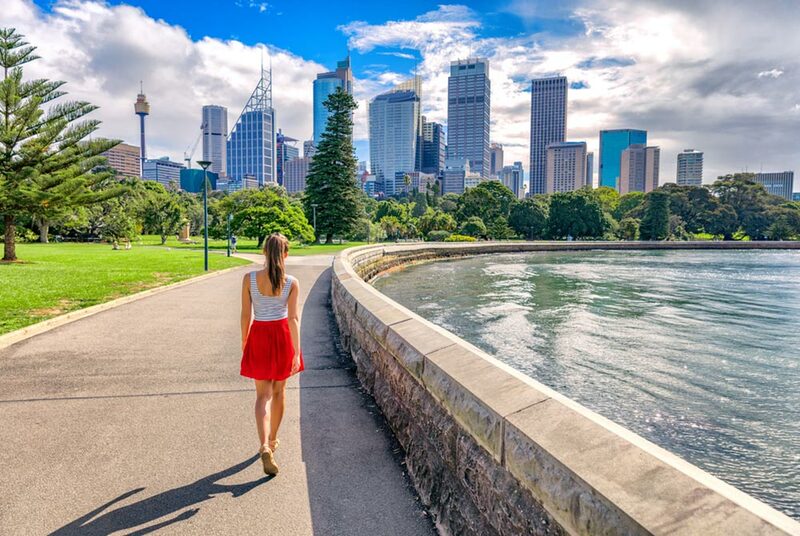 Depending on your location and lifestyle your living cost could be significantly greater, for example, some universities would suggest it would be more realistic to budget $30,000 – $35,000 per year to live in Sydney. The goods and services tax (GST) is a tax of 10% charged on most goods and services sold or consumed in Australia. Most basic food staples are excluded, and for some purchases over $300, you could be eligible to have the GST component refunded to you. Generally, Australians do not bargain or barter when making purchases or conducting sales. There’s no requirement to tip in Australia (in restaurants, bars or any service industry) but it isn’t uncommon for small tips to be left for bar staff or wait staff, especially in more upmarket establishments.